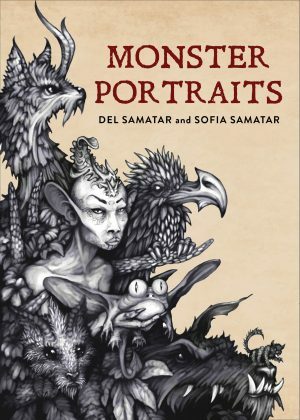 View cart “Monster Portraits” has been added to your cart. Relentlessly original and brilliantly hybrid, Monster Portraits investigates the concept of the monstrous through a mesmerizing combination of words and images. An uncanny and imaginative autobiography of otherness, it offers the fictional record of a writer in the realms of the fantastic shot through with the memories of a pair of Somali-American children growing up in the 1980s. Operating under the sign of two—texts and drawings, brother and sister, black and white, extraordinary and everyday—Monster Portraits multiplies, disintegrates, and blends, inviting the reader to find the danger in the banal, the beautiful in the grotesque. Accumulating into a breathless journey and groundbreaking study, these brief fictions and sketches claim the monster as a fragmentary vastness: not the sum but the derangement of its parts. Del Samatar’s drawings conjure beings who drag worlds in their wake. World Fantasy Award-winning author Sofia Samatar responds with allusive, critical, and ecstatic meditations. Together they have created a secret history of the mixed-race child, a guide to the beasts of an unknown mythos, and a dreamer’s iconography. The monstrous never looked so simultaneously haunting and familiar. 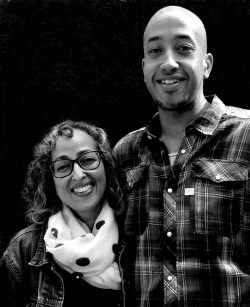 Sofia Samatar is the author of the novels A Stranger in Olondria (Small Beer Press, 2013) and The Winged Histories (Small Beer Press, 2016), and the short story collection Tender (Small Beer Press, 2017). 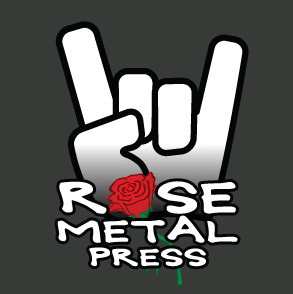 Her work has received the William L. Crawford Award, the John W. Campbell Award, the British Fantasy Award, and the World Fantasy Award. She teaches at James Madison University in Virginia. Visit her website here.